It's been awhile since I've done a planner review! There are so many great planner companies out there, it can just be hard to find the one that's right for you. PurpleTrail is a company that sells customizable invitations, mugs, stamps, announcements, postcards, and, yes, planners. PurpleTrail even carries Wedding Planners for brides(and grooms)-to-be! 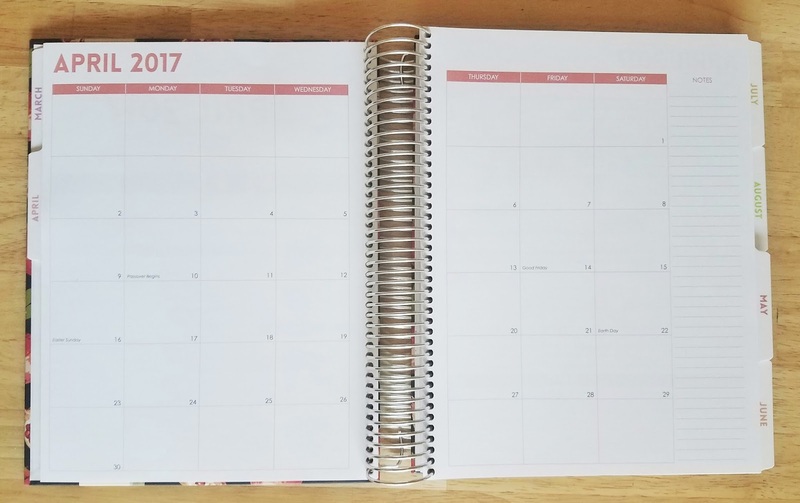 Options for the weekly planner include hard, soft, and binder covers, sizes 6"x 8" and 8.5"x 11", and a choice of vertical, horizontal, or vertical hourly layouts in color or grayscale. There is also the option to add your own photos to the cover designs, as well as customizing the text. There are many planner add-ons to choose from. For the most part, if you can dream it, you can make it a planner reality with PurpleTrail. 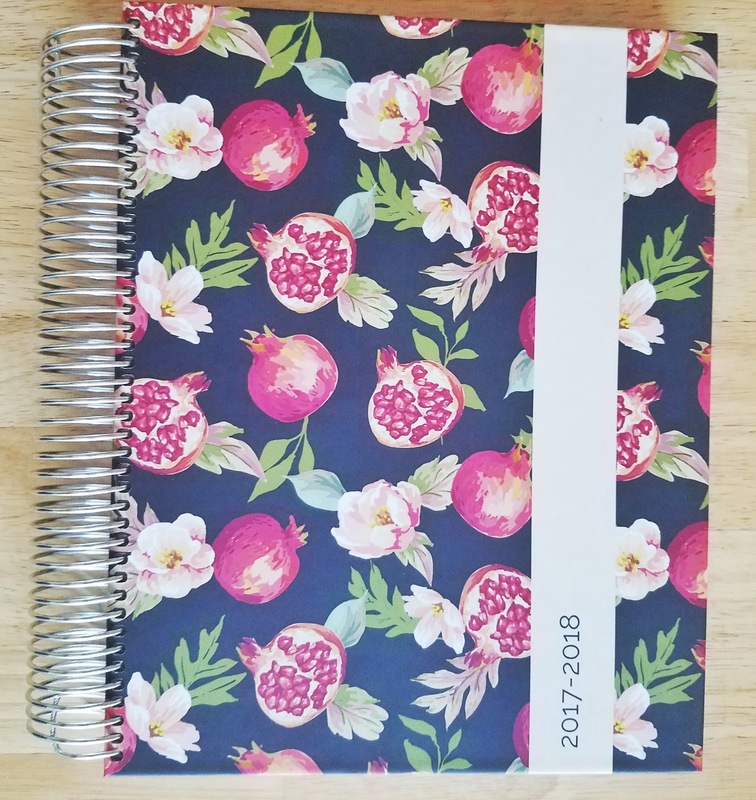 The planner shown in the pictures is the Pomegranate and Florals 8.5"x 11" weekly planner with a hardcover and horizontal layout. 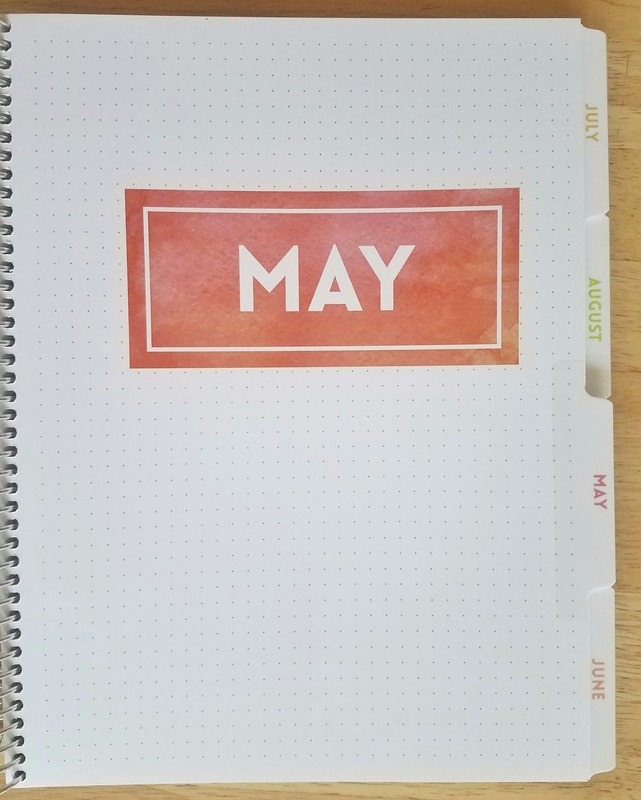 The planner also has the notes, pocket folder, and important dates add-ons. I LOVE the hardcover option. For anyone who carries their planner around or can be a little rough handling their planner, this hardcover is a durable, sturdy option. It's not heavy, but it does hold its own. 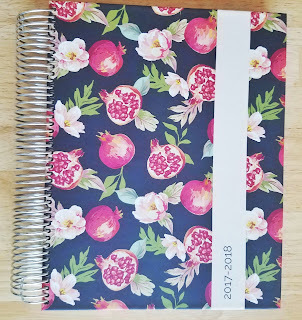 It also slides along the binder easily so you won't have to worry about having trouble opening/closing/flipping through the planner. 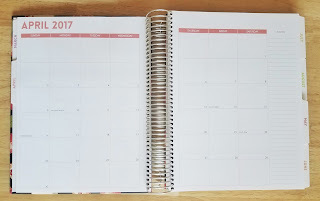 Once open, a "This Planner Belongs to" page is visible. I love these types of pages for, again, those who carry their planner with them. The overall clean look was another feature I noticed right away. I like that the interior of the planner has bright, vivid colors but is far from appearing busy or crowded. 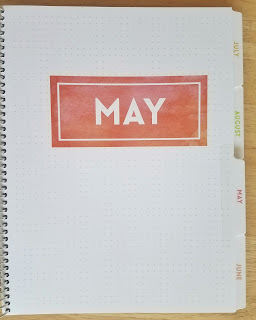 I don't often decorate my monthly/weekly layouts, but for those who do, this means you can have full control over the layout decor without having to worry about clashing with illustrations printed within the planner. The paper is thick, quality paper. I didn't notice any bleeding through with the pens/pen-markers I use. The paper is also BRIGHT, which I prefer. I am not a fan of paper that appears dingy or dirty. The monthly page separators are my favorite. Again, lots of beautiful color without being overly done. I also like that each month has its own page dedicated to birthdays, events, and things to remember. So handy! I really like that the add-ons seem to fit seamlessly with the planner's design. They definitely look like they belong, instead of looking like... well an "add-on," as they do in other planner companies' planners. The notes section is a great option for those who like to combine planner and notebook. And I always love to have a pocket for loose papers that I either need to reference often or have to carry with me. Overall, PurpleTrail's planners are high-quality, completely customizable planners. I literally did not find one flaw or anything I didn't like. It's also one of the very few planner companies that offer such a wide variety of customizable options. Check out their planners here!